Confession time. I’m not a great fan of mincemeat. It’s just a bit too strong for me. Having said that I am a big fan of the mince pie; so long as there’s more pastry than mince. To mellow the minciness of these mince pies I have mixed the mincemeat half and half with marmalade. There’s also some orange zest in the pastry to give them a real citrus zing. I think if someone had given me this less intense mince pie as a child I would have been more inclined to eat the whole thing rather than just the pastry. Make the pastry by rubbing the butter into the flour until you have a breadcrumb texture. Stir through the orange zest. Bring the mixture together with little drops of cold water until it forms a ball. Knead quickly on a floured surface then wrap in cling film and refrigerate for 30 minutes. Roll the pastry out on a floured surface until just less than the thickness of a £1 coin. Cut out 12 rounds (fluted or plain) with a cutter that will fit your tin and then 12 smaller rounds for the lids. I used an 8.5cm and 6.5cm cutter. Use the larger rounds to line bun tins. Mix together the mincemeat and marmalade and divide between the lined tin. Top the pies with the smaller pastry rounds then brush the tops with egg or milk. Remove from the tin while still warm. I will admit that these little pies don’t look quite as I envisaged but that’s because my pastry invariably comes out somewhere between rough puff and shortcrust. I think it’s because I get bored rubbing the butter and flour together so leave some lumps. Although these certainly wouldn’t stand up to the judgement of any higher baking beings, like Mary Berry, and I would crumble (even if the pastry didn’t) if Paul Hollywood gave my little pies the angry stare but they don’t half taste good. These were lovely straight out of the oven and now I have an open jar of mincemeat and marmalade; that’s just an excuse to make some more. 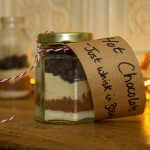 Ideal to make some and take them to work as a little mid-morning festive pick me up. Pies are once a while for us, in fact its seldom made at home. 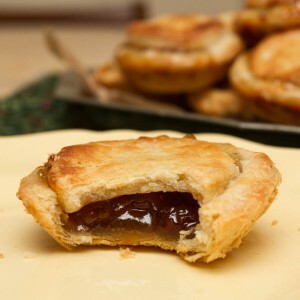 Still I love these home made pies, simply awesome and tempting. “Minciness”. Nice word. 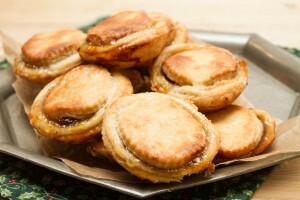 I see Mince Pies simply as vehicles for the consumption of Brandy Butter! Oooh mincemeat and marmalade. Now that really floats my boat!! I’m not a huge fan of mincemeat either. Like you, I think it’s too strong. I do like the idea of the pies, though, and adding orange and marmalade is a brilliant idea. Good stuff – thanks. So cute! And I love the idea of cutting the mincemeat with marmalade. Sounds delicious. 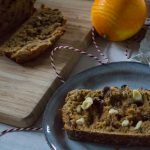 I’ve never had mincemeat… I have always been a little curious about it though and think it’s time to give it a try! These little pies look so fun and festive! 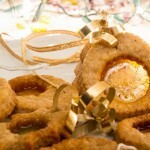 I could eat some of these right now haha they look great!!! I’ve never had a mince pie before. They look tasty! Clever idea. I am liking the sound of that. 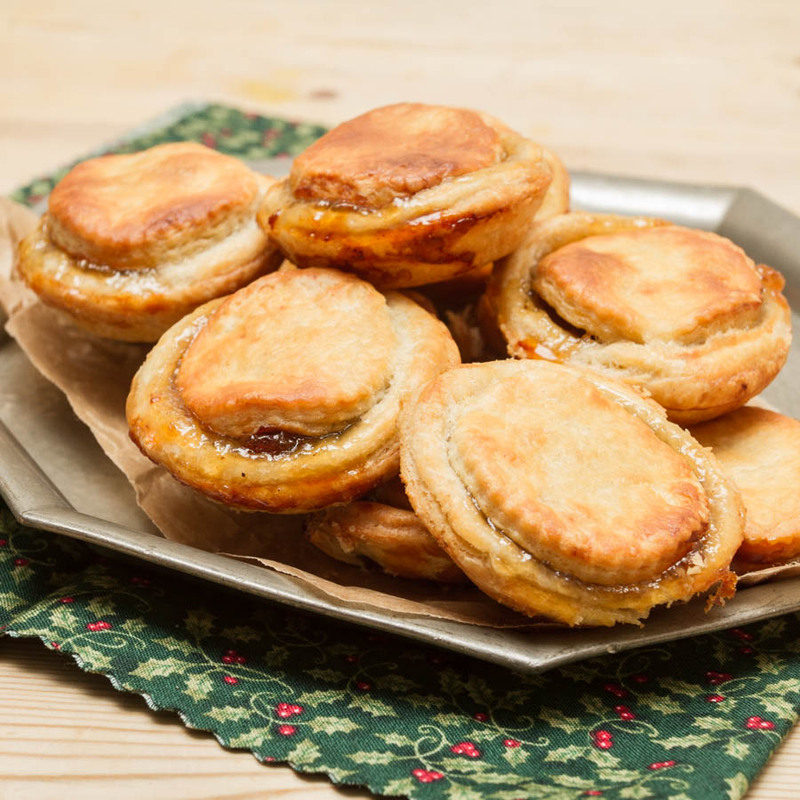 Love the idea of mixing mincemeat with marmalade, they look yummy. Oh, I can so see how that works, what a fabulous idea. I’m not keen on shop bought mincemeat and CT won’t touch it at all, but homemade is a different matter entirely.